I bought this as a replacement for my original play mat that got mildewy in storage and I like this one so much more than my $40 original! 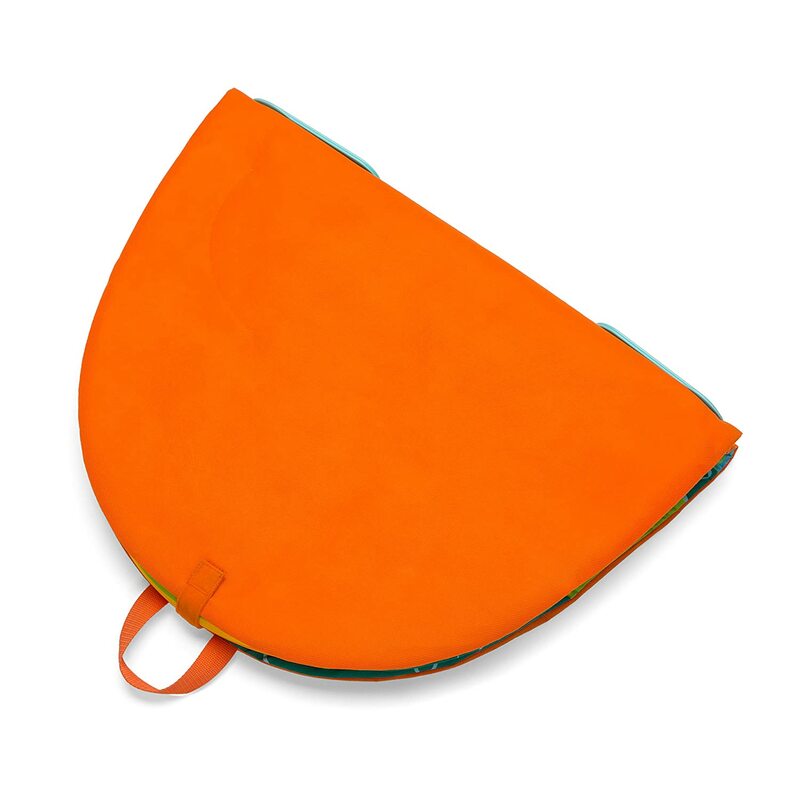 I love that it folds up so it travels and stores easily. 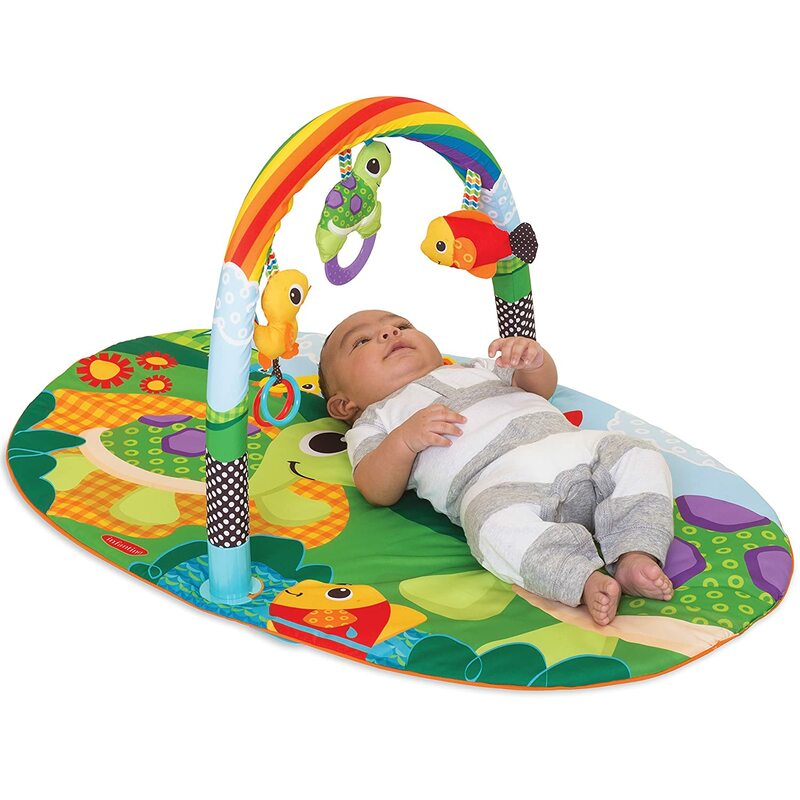 It is a simple, easy design but my baby loves it and will spend a lot of time laying on his back hitting the toys with both his hands and feet. 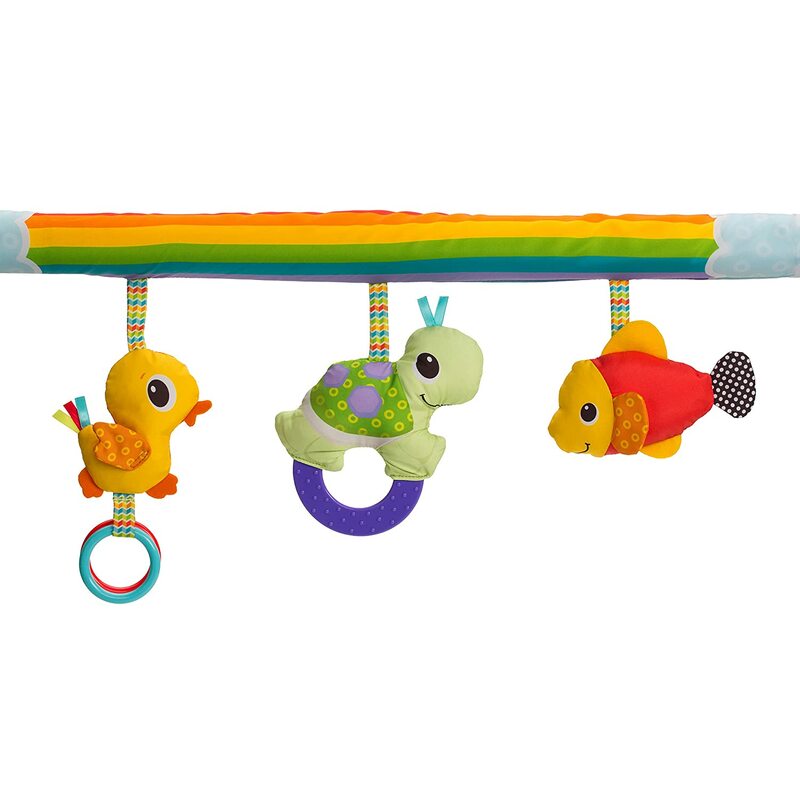 I love that you can push the foam bar forward or backward so your child can easily reach the toys. 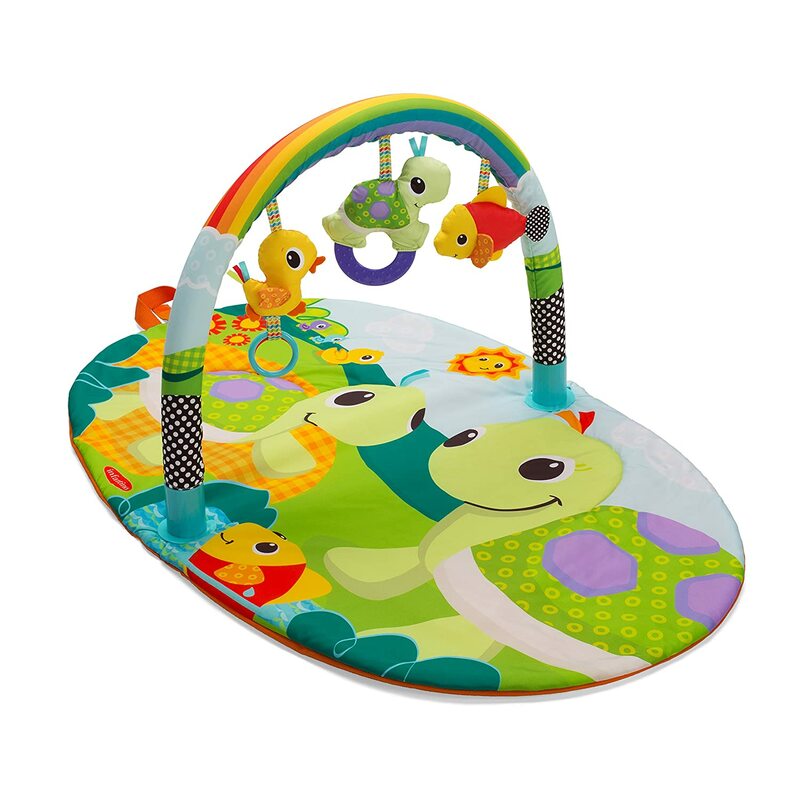 This is a great play mat at a great price! I'm giving this product 3 stars for one main reason. 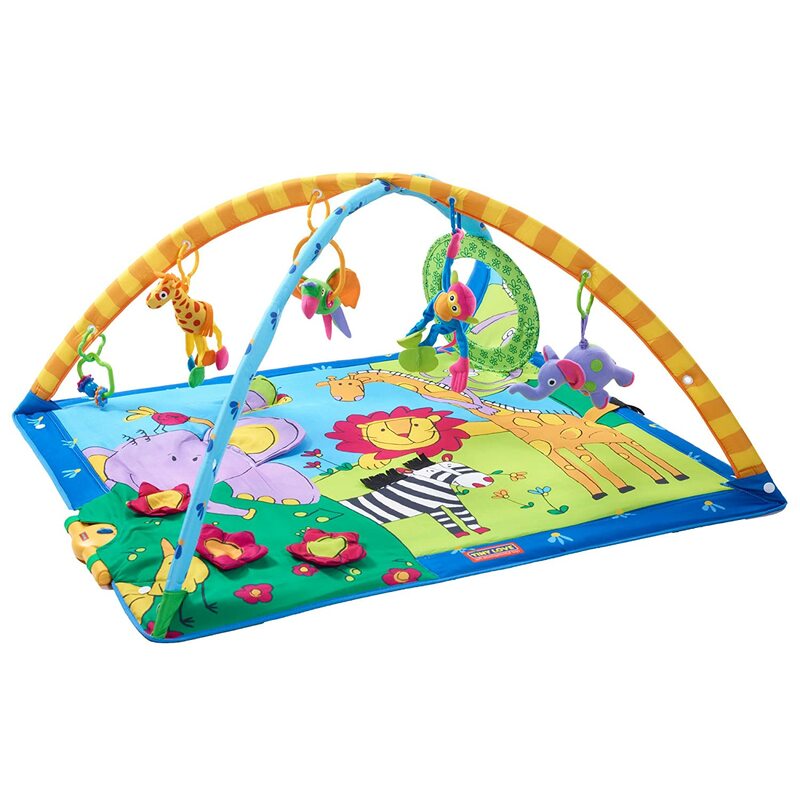 The arch, which is detachable is not very strong and falls down easily when my 4 month old plays with the hanging toys. This gets her upset easily. Even if I try to support the ends with something it still eventually falls over so it will not keep her entertained for very long. The idea is great and it travels easy though. Perfect from age 0-6 months. This was the most affordable back play toy we found and I'm so glad we got it! It traveled with us in luggage when we had to travel, so that was a plus for us! After our son started crawling, this got beat up pretty bad. He would take out the ring and chew on the plastic inserts and swing it around. Passed it on to a friend with a newborn to now enjoy. 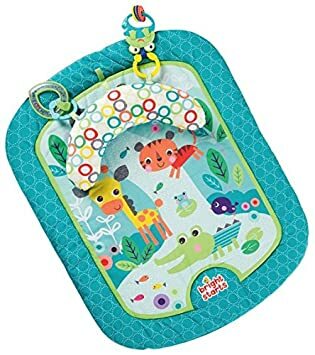 looked good; but I returned it; my daughter didn't think it would be large enough for what she had wanted for her baby...Infantino is a terrific brand, however....and this was a good price for it. If you have a strong baby like ours I would not recommend this one, ours just pulled the whole thing as the band that goes over it isnt stirdy everything would collapse each time baby touched/pulled it :-s had to return it :) but its a pretty mat ... so it didnt work for us maybe it will for you. I love this on the go play gym. 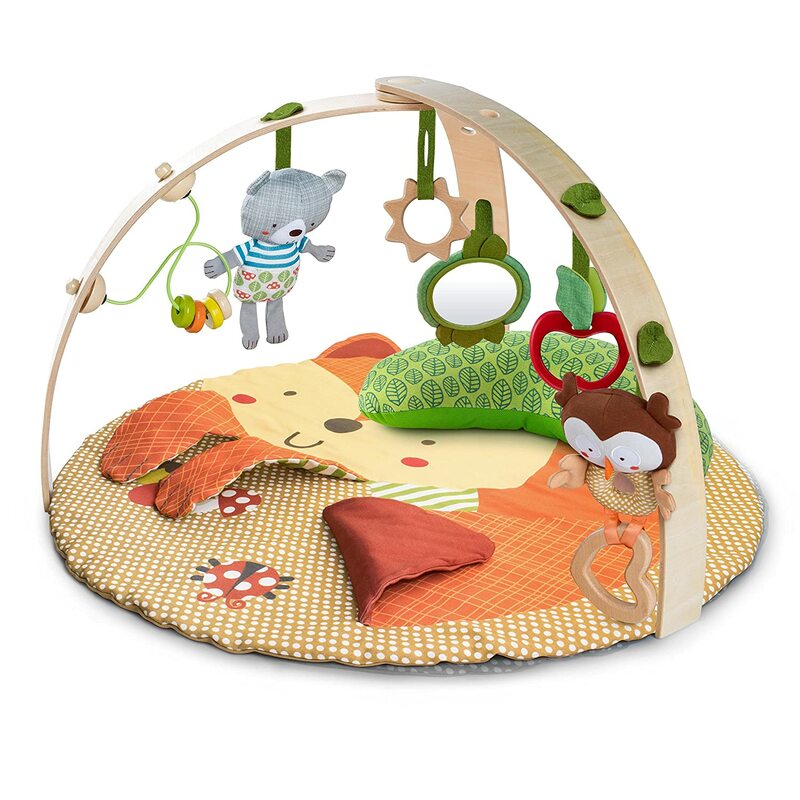 We travel with it, use it in the pack n play, and even on our bed to entertain the baby in the morning. It's easy to store and light to carry with out. It's adorable and seems comfy. My daughter (1 1/2 months) enjoyed it for a couple minute but quickly grew bored of it. I put it on top of another blanket on our wood floors for added comfort. I plan to try it again soon as she gets a little older, but I have a feeling I will get the same results and most likely buy a new one that comes with much more (including a mirror and music, which this lacks). Although colorfully entertaining for a 3 month (now 6 month) old, one touch and it seems to fall right down. Luckily it is so light that it won't hurt her, but rather pointless for any babies above 3 months. Be great for newborns to just lay and look, but many other better products.